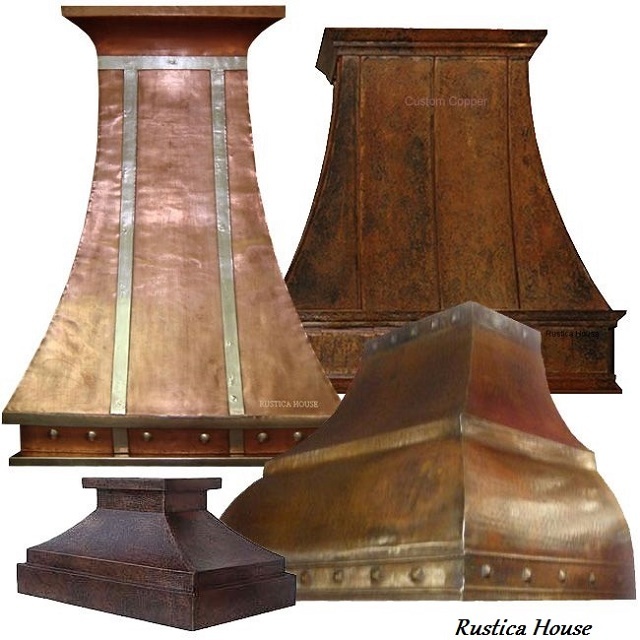 Click the button below to add the Copper Range Hood '0199' to your wish list. Metal range hood made of copper makes an excellent focal point. Imagine your kitchen equipped with such an appliance custom handcrafted just for you. The hood is available with five rustic copper patina options including oxidized green. You can select them on the page menu as well as identify wall or island style. As a standard this range hood it is offered for sale without any ventilation equipment included. There are two options you can choose from when the exhaust is concerned. Either you purchase our 200CFM system, it is equipped with light and filter or customize the hood for your own vent linear. If the second option is preferred, select $200 custom work. After purchasing send a follow up email indicating your linear brand and model number.